Perhaps next year someone could buy ground coffee from Goodbye Blue Monday and brew it at their home that morning to bring down. Just a thought. Lovely gesture none the less. 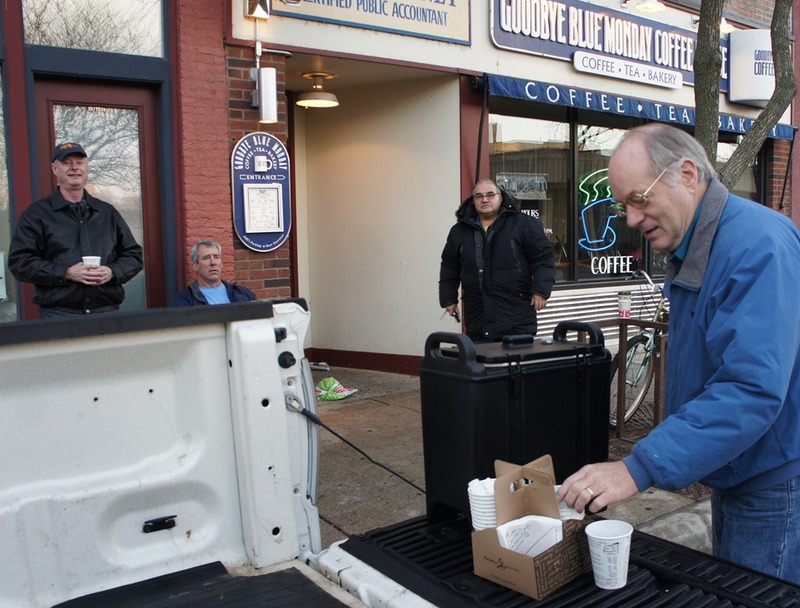 Confirmation: there will again be coffee served on the sidewalk in front of the Blue Monday on Thanksgiving morning, starting at 7 am.